The prestigious Beijing-Shanghai railway link has been serviced using Vossloh’s preventive High-Speed Grinding (HSG) method since 2013. Nothing too spectacular about that. 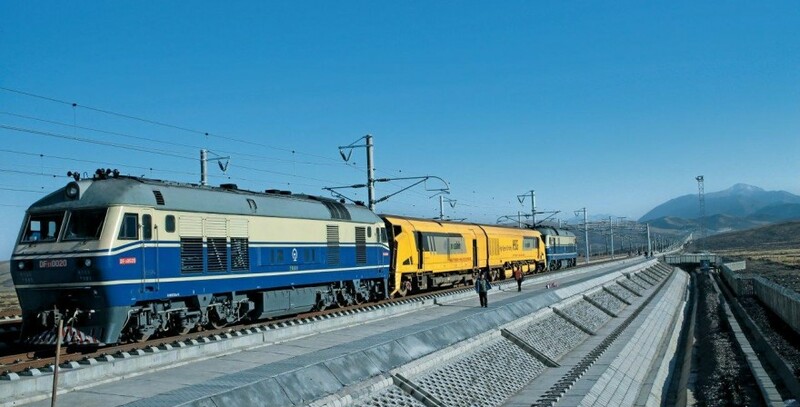 But by now, the HSG-2 train has also travelled the topographically and climatically extremely demanding high-speed line from Lanzhou to Ürümqi. This record-setting feat saw the HSG-2 embark on a non-stop 12-hour journey at minus 24 °C, during which a total of 350 km were ground at an elevation of 3,600 metres on a line that, with a 20° incline, can only be called steep. Europe’s highest railway line – on which the Bernina Express runs from the Swiss town of Chur right up to the glaciers and which rises to only 2,253 metres at its highest point – shrinks to the size of a mole hill by comparison.